Welcome to Mandatory Streamers, our latest column covering the best new streaming content coming your way every week! For the week of April 8, the beginning of the end has arrived as the Game of Thrones Season 8 premiere will launch on HBO this Sunday and we anxiously await who will meet their final bloody fates. Check out the best shows debuting and returning online this week as well as the latest renewal announcements below, and be sure to visit our mother site Mandatory by clicking here! 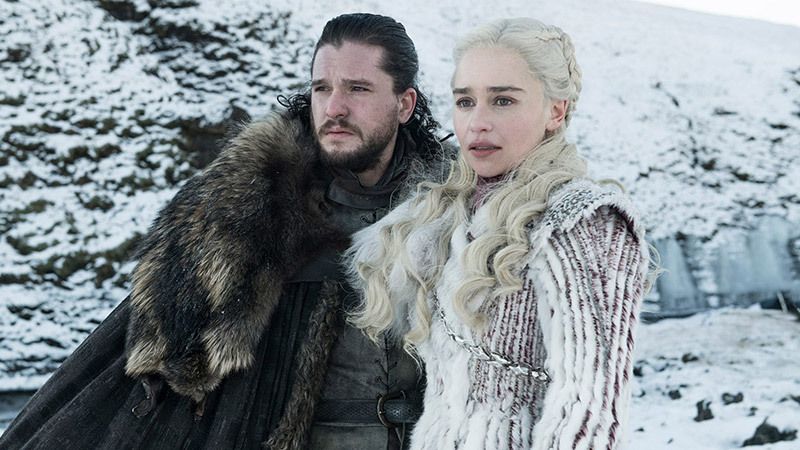 Game of Thrones, Season 8 Premiere: The wait is finally over, and now it’s time to really start stressing over who will end up falling by the sword (or burnt to a crisp by a dragon) as the final season begins. At the end of Season 7, Daenerys’ dragons and her immense army were finally on the way to Westeros, where Cersei has now become Queen after the death of her children. The Night King’s army is heading south, and all we know for sure is that a brutal war is coming. Game of Thrones will be available to stream this Sunday. Black Summer, Series Premiere: Netflix is bringing a little zombie horror action with Black Summer, starring Jaime King as a mother torn from her daughter in the dark, early days of a zombie apocalypse. Thrust alongside a small group of American refugees, complete strangers must find the strength they need to fight their way back to their loved ones. In order for Rose and her team to brave this hostile new world, they will need to make brutal decisions to contend with the undead and each other. The horror series will launch on April 11. You vs. Wild, Series Premiere: Expanding their interactive content, Netflix is bringing fans a unique Bear Grylls experience by giving control over to the viewer. Audiences will get to decide, for example, whether Grylls takes on a mountain lion or follows a questionably safer route by jumping down a cliff. If you’ve ever wanted to be in charge of someone else’s fate and can’t get enough of that accent, this series is for you. You vs. Wild will premiere on April 10. Fosse/Verdon, Series Premiere: FX’s latest biopic miniseries is taking on Sam Wasson’s biography Fosse, which tells the story of the love and collaboration between filmmaker and legendary Broadway director/choreographer Bob Fosse (Sam Rockwell) and Broadway dancer Gwen Verdon (Michelle Williams). Executive produced by Hamilton creator Lin-Manuel Miranda, the eight-part series will explore these two brilliant, complicated individuals and the price they paid in the pursuit of greatness. Fosse/Verdon debuts on April 9. The Bold Type, Season 3 Premiere: The Bold Type is ready for a new season following the outrageous lives of Jane, Kat, and Sutton. The series centers on these three close friends who live in New York City and attempt to navigate their career, sexuality, identity and finding their individual voices. The fierce ladies will be available to stream on Freeform and Hulu beginning April 9. Killing Eve, Season 3: Only a day after the huge Season 2 premiere of BBC America’s spy/assassin drama, the network announced that the series will be returning for a third season! Writer Suzanne Heathcote will replace Emerald Fennell as showrunner next season, with Golden Globe winner and star Sandra Oh set to serve as executive producer. There’s a lot of story we have to dive into before Season 3, however, including a surprise twist in the second episode of Season 2 airing this Sunday. After Life, Season 2: Ricky Gervais’ comedy-drama series has been renewed for a second season, because six episodes is not enough of the heartwarming and funny show about a man’s determination to punish the world around him by saying and doing whatever he likes following the death of his wife. Season 1 of After Life is currently available to stream on Netflix. The Umbrella Academy, Season 2: Netflix’s live-action superhero series will return with a 10-episode order with production scheduled to begin this summer. The show is based on the Eisner award-winning comics and graphic novels created and written by Gerard Way, illustrated by Gabriel Bá, and published by Dark Horse Comics. If you haven’t met this unique and dysfunctional family of superheroes, catch up on Season 1 now on the streamer! 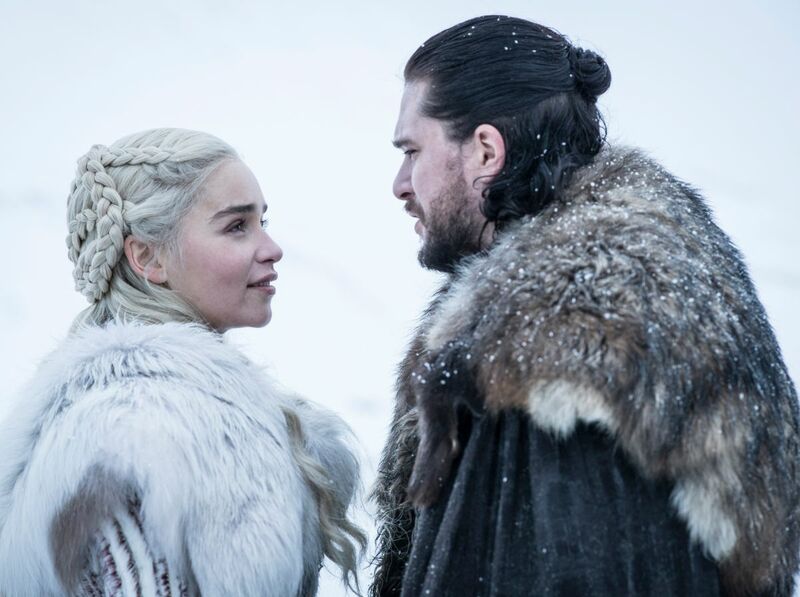 The post Mandatory Streamers: The Beginning of Game of Thrones’ End Is Here appeared first on ComingSoon.net.